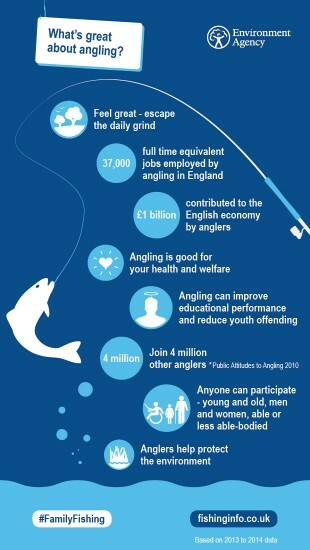 Just a few reasons on what's great about angling! Like most parents, my wife and I wanted our children to try various sports - football, swimming and running, and sure enough, they've taken to some more than others. But, while sport is great for their physical development (they’re fitter than we are! ), they need a “balanced diet” of activities. Fishing is perhaps unique in combining so many life-skills – patience and independence, planning and problem-solving, understanding the natural world and, though my kids won’t hear of it, learning from others! On top of this spending time outdoors with family has obvious physical and mental health benefits. As with most children, my dad first introduced me to fishing. With few places to fish where we grew up, from an early age I remember our fishing holidays – Scotland where I caught my first mackerel; spinning for pike and perch in the Lake District; and trying to tempt elusive trout from Welsh streams. With just basic tackle and at that age not needing a rod licence, I was soon hooked (pardon the pun). Wherever we went on holiday, my fishing rod always went with us. So what is it about fishing? For me, it was so much more than the time spent by the water’s edge. A fishing trip would start days, weeks or months ahead... Reading the obligatory “Mr Crabtree” till I knew it backwards; my dad patiently teaching me to build my own rod from fibreglass blanks. We would spending hours crafting replica flies from a hook and a few feathers. I even learning the basics of metal smelting, as we cast our own weights. Then there was the fishing trip itself and the anticipation of putting my new found knowledge to the test. Where would we go? What was the weather doing? Which bait to use? ... How many times would Dad patiently untangle my line? Sometimes we’d catch, often we wouldn’t, but I’d relish every trip and each time learnt a little more about what worked, what didn’t and what to try differently next time. It was the sort of education you didn’t get at school, and what a “classroom” to learn in! Now it is my turn pass the same skills and enthusiasm on to my children. As they grow up in an increasingly busy world, spending quiet time by the water, immersed in nature and focusing on just one thing, is invaluable. It’s not just me saying this – evidence from the Angling Trust and others show that angling makes a real difference to children’s behaviour, educational performance, relationship-building and self-esteem. Going fishing, it appears, is really good for you! On holiday in Scotland, my children caught their first fish, feathering for mackerel from a loch-side pier, just as I did 40 years ago! Since then, they’ve learnt the basics - casting a line, playing a fish and releasing it unharmed – and they are already pestering me about this year’s fishing trips! 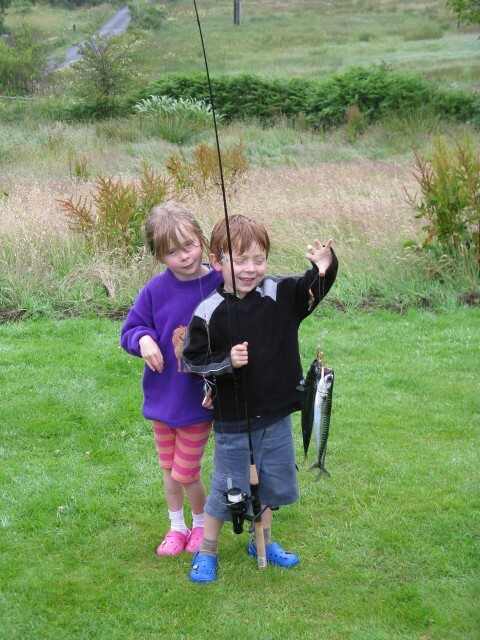 With summer upon us, now is an ideal time to introduce children to fishing. All you need is some basic kit (you don’t need to spend much to start), someone to take them and somewhere to go. A National Fishing Month event is an excellent place to start or, for the whole family, try a Family Fishing event. The children were so excited with their first catch! If your children are anything like mine, they’ll love it and want to spend the summer by the water’s edge. Use the Angling Trust’s new website, www.fishinginfo.co.uk to find different places to go fishing, tackle shops, clubs and coaches, plus all the latest angling weather and river levels. Oh, and don’t forget your rod licence – just £27 a year for adults, £5 for children and under 12s go free. Buy online at www.postoffice.co.uk/rod-fishing-licence. Go on, give fishing a go! You can find out more about the fisheries work of Paul Lidgett and his Environment Agency colleagues on Twitter, and join the conversation with #GoFishing.